The Rugby Championship usually loses some of its luster on a World Cup year, but there was plenty of quality in the first weekend of action, as the All Blacks demolished Argentina 39-18 at Christchurch while Australia stunned South Africa in Brisbane with a dramatic 24-20, last minute victory. 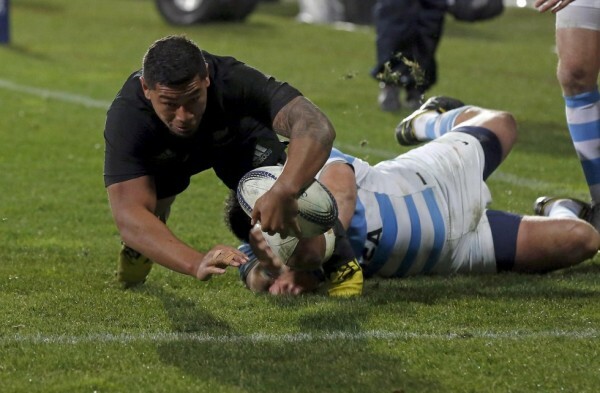 As it usually goes in these matches, Argentina managed to slow down the pace and keep in touch with the All-Blacks early on, but were completely run over early in the second half, barely able to generate anything of their own. Agustin Creevy did score a couple of tries, the only player with a try-double on the first weekend of action, but Dan Carter had plenty of opportunities to pick up points (2-of-4 on penalties, 4-of-5 on conversions for 14 points) while Richie McCaw, Ma’a Nonu, Charles Piutau and Kieran Read scored four tries within the first 48 minutes, while Codie Taylor came off the sidelines to score another one to make it look like a less than close matchup. 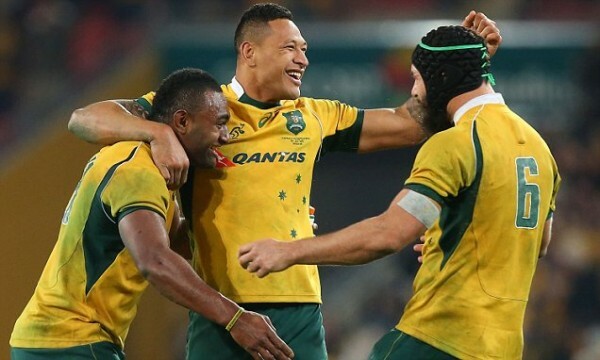 A very impressive victory for the Wallabies, slightly surprising many with a win over the Springboks in Brisbane, as an impressive push in the final seven minutes brought them back from what looked like a definite loss. South Africa held a 20-10 lead with 7 minutes to go, but a try from Michael Hooper followed by Quade Cooper’s conversion (7 points overall, missed two penalties) and a dramatic, 80th minute try by Tevita Kuridrani and conversion by Matt Giteau resulted in a dramatic finish and slight upset after a very dominant first hour from South Africa, that included tries for Eben Etzebeth and Jesse Kriel while Handré Pollard did well with his kicking. Agustin Creevy with two tries, 10 more players with one.